We will be exhibiting at the upcoming NISTM tradeshow in Orlando, Florida on March 27th. 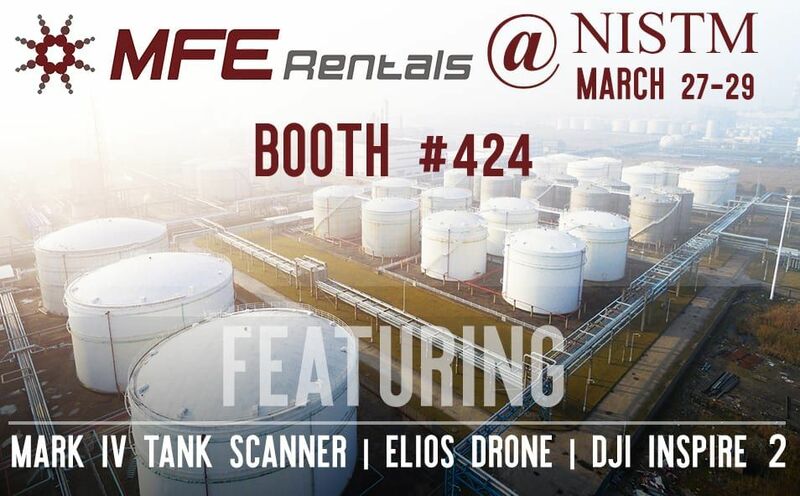 Stop by booth #424 where we will be featuring some of our equipment from top manufacturers such as MFE Enterprises‘ Mark IV Tank Floor Scanner, DJI’s Inspire 2 drone, and Flyability’s ELIOS. 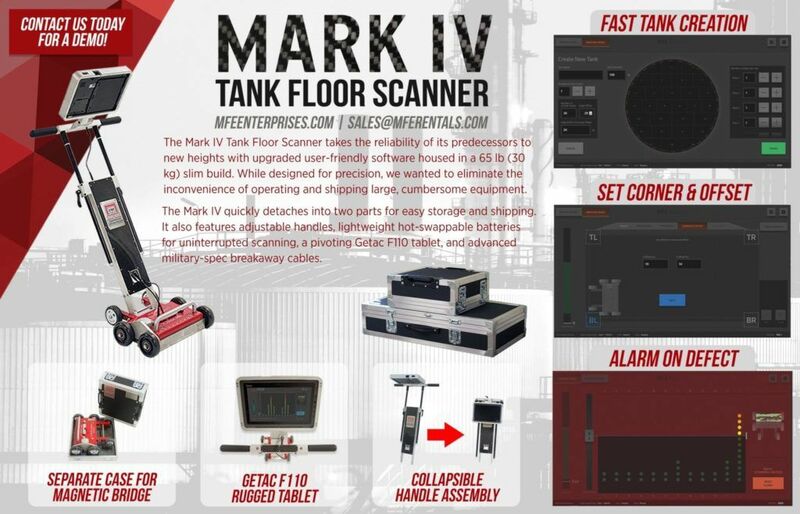 Designed to be easily transportable, user-friendly, and reliably fast, the Mark IV Tank Floor Scanner allows inspectors to discover volume loss in real-time, maintain consistent results using the speed tracking and speed compensation features, and produce analytical reports using the simplified yet robust mapping software. Also at NISTM, we will be featuring DJI’s Inspire 2. 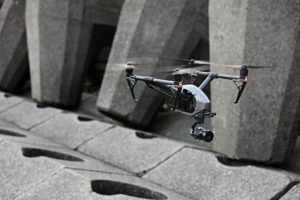 It takes everything that was good about the Inspire 1 and improves it: faster image processing, dual battery system, self-heating technology, an upgraded video transmission system, and more. 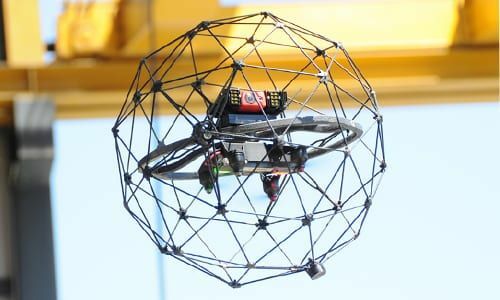 You’ll also have the chance to discover the first collision-tolerant drone Flyability’s ELIOS, designed for the inspection and exploration of the most inaccessible places. Allowing for the first time to fly in complex, cluttered or indoor spaces, Elios unleashes the potential of UAVs in numerous applications where their use was previously too dangerous or simply impossible.